Forklift trucks-arkiv | Kranpunkten - Kompetens som lyfter dig! Kranpunkten – Kompetens som lyfter dig! 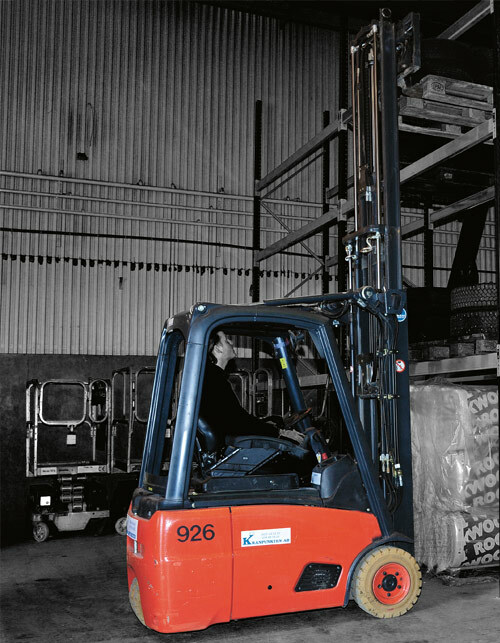 We have a wide range of forklifts, both stacker and counter-balanced trucks, electric and diesel, with capacities between 1 400 and 10 000 kg. Standard trucks have a lift height of 4.7 metres and a construction height of 2.10 metres. They can be provided with optional equipment such as for lifting people and white tyres that leave sensitive operating surfaces unmarked. If you require a multi-task machine, our telescopic loaders, with their extreme versatility, may be the answer. And if, which is unlikely, we do not have just the right machine for you available, we can arrange it through our working partners. Our aim is to always have a machine available for every task.